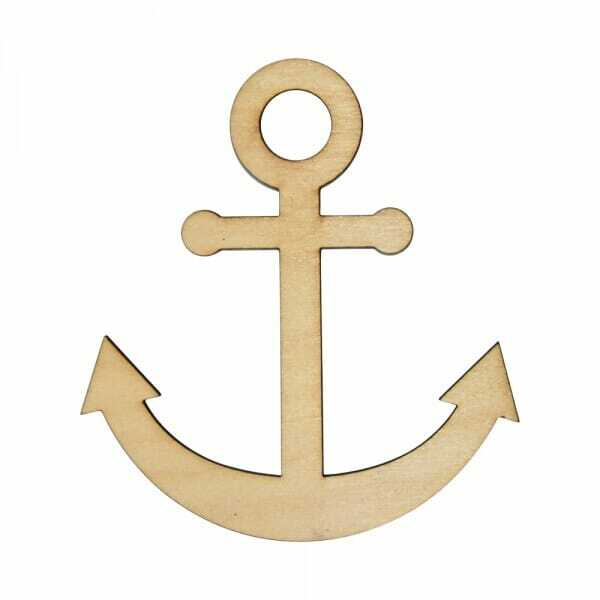 Our wooden anchor craft shape is precisely cut by laser machine to show the intricate detail of the model. The craft shape is made from 3mm of Birch wood which can be easily stencilled, painted or glued to suit any arts and crafts projects. Coming in different sizes ranging from 25mm to 250mm, the shape presents endless opportunities for its user. Customer evaluation for "Craft Shapes - Anchor"